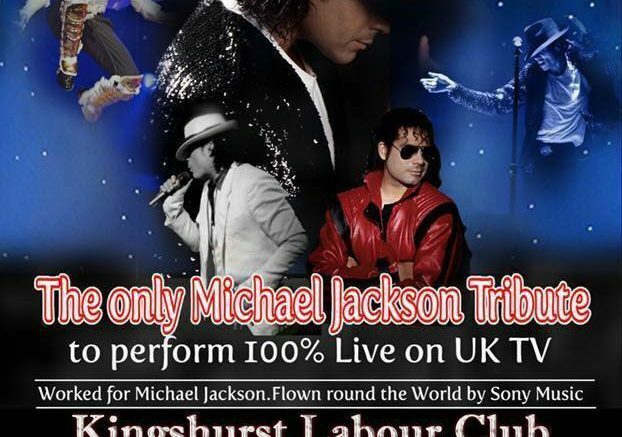 Worked for Michael Jackson – The only Michael Jackson Tribute to sing 100% live on UKTV. Been flown round the world by Sony Music. 100% Live Vocal, 6 costumes, dancers, video wall with great graphics. Audience participation recreating the the Jackson 5. SHOW NOT TOO BE MISSED!!! 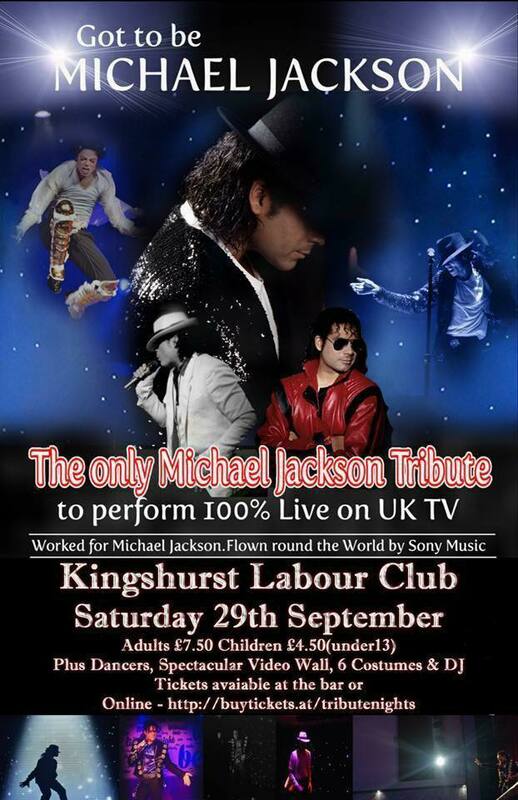 Got to be Michael Jackson, the UK’s top live Michael Jackson Tribute Concert is coming to the Kingshurst Labour Club. Starring Anthony Edwards, it celebrates the career and impact of the world’s most famous entertainer. Got to Be Michael Jackson features authentic costumes, and a concert atmosphere that is identical to Jackson’s famous spectacles. Hits such as ‘I Want You Back,’ ‘ABC,’ ‘Thriller,’ ‘Billie Jean,’ ‘Smooth Criminal,’ ‘Black and White’, ‘Man In The Mirror’ and many more are performed by his talented dancers alongside a spectacular Video Wall, to create the ultimate Michael Jackson experience. Anthony Edwards has dedicated his 26-year career to perfecting the art of being Michael. He has worked directly for Michael Jackson and has moonwalked around the world with Sony Music, performing for their high profile clients. Anthony is also the only Michael Jackson tribute performer to have auditioned, been selected, and performed exclusively live on UK television. Along with performing on ITV’s Stars in Their Eyes with Matthew Kelly.